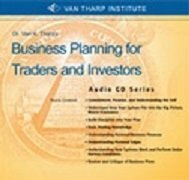 For stock investing advice, Dr.Van Tharp stands out as an international leader in the unique arena of professional stock market trading coaches and consultants. Helping others become the best trader or investor that they can be has been Tharp's mission since 1982. Dr. Tharp offers unique learning strategies and stock investing advice, and his techniques for producing great traders are some of the most effective in the field. Over the years Van Tharp has helped people overcome problems in areas of system development and trading psychology, and success related issues such as self-sabotage. He is the founder and president of the Van Tharp Institute, dedicated to offering high quality education products and services for traders and investors in the stock market around the globe. Van Tharp uses a combination of skills and education to fine-tune his strategies to coach, consult and teach traders and investors. He received his Ph.D. in psychology from the University of Oklahoma Health Science Center in 1975. He is a certified Master Practitioner of Neuro Linguistic Programming (NLP), a Certified Master Time Line Therapist, a certified Modeler of NLP, and an Assistant Trainer of NLP. He has used his expertise in NLP to create the successful models of trading and investing upon which so much of his work is based. Financial Freedom Through Electronic Day Trading. 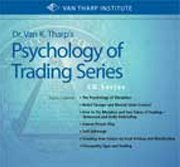 The Peak Performance Course for Investors and Traders is Dr. Van Tharp’s masterpiece. In addition, Van Tharp is the only trading coach featured in Jack Schwager's best selling book, The Market Wizard's: Interviews with Great Traders. Van Tharp has published numerous articles in various industry publications and has been featured in publications such as Forbes, Barron's Market Week, Technical Analysis of Stocks and Commodities, Investors Business Daily and Futures and Options World, and Trader's Journal, just to name a few. Below is a video with Dr. Van Tharp explaining the importance of taking accountability and learning from you stock trading mistakes. 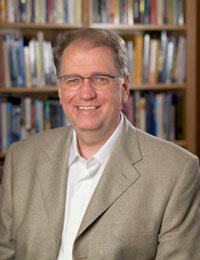 Dr. Van Tharp's website can be found here. Enjoy the written stock investing advice interview below with Dr. Van K. Tharp! I can answer that question on a number of levels. At the most basic level, people must trade by processing information. Unfortunately, we're not very efficient information processors. We have a lot of biases which enter into trading decisions. I've documented 25 of them in my home study program. However, I think most of those biases can be summarized by realizing that trading/investing are very simple processes and we human beings try to make it into something much more complex. Those biases are all about adding complexity to the world. Dr.Van Tharp, is it really that simple? 4) manage your money so you can stay in the game. If you design something around following those rules, you'll make a lot of money. But when a great trader says, "That's what I do," the average person responds, "Yes, but tell me what your real secret is." This all about Trading Psychology. The markets are not random in that we have very large abnormal price moves. On a normal distribution curve, these amount to abnormally large tails. For example, in the past, we have seen a one-day move of 500 points in the Dow Jones and a very short-term move of crude oil from the mid-teens to the $40 level and back to the mid-teens. We might expect those moves by chance, perhaps once in a 1000 years, but not several times in a decade. But we've seen those moves in the last decade. Consequently, what most traders need to do to be successful is to participate in those moves in some way and not lose too much money when we're wrong. Unfortunately, we have all sorts of biases in our thinking which keep us from doing so. This is sound stock investing advice. First, we have a bias to understand things-such as why is the market acting like it is? Most traders make money with systems that are right less than fifty percent of the time. What makes them money is that they make a lot more, on average, than they lose. Executing a system based on probabilities doesn't require an understanding of how the market works, it requires money management. Nevertheless, people want to treat the world as if they could predict and understand everything. As a result, they tend to seek patterns where none exist and to invent the existence of unjustified, causal relationships. Traders don't want to trade probabilities. Yet trading is a probability and money management game. Another bias that most people have is called the Law of Small Numbers. This means that we don't need a lot of information in order to find the patterns or causal relationships that produce our understanding -it only takes a few examples. People also have a bias in that we tend to imagine that what we see or expect to see is typical of what can and will occur. Thus, if you observe a pattern in the market, you expect it to occur. If you develop some concept about the market, you will look for data to support that concept in the market-and you will probably find it whether it exists or not. Add to those another bias called the Conservatism Bias. This means that once we find a pattern or causal relationship, we tend to ignore contradictory evidence no matter how pervasive it is. There are many more biases. Hopefully, you get the picture. We tend to create a reality that's much more complex than what really works-we try to add complexity rather than employ sound money management. Are there any biases around money management Dr. Van Tharp? The most notable is called the gambler's fallacy. People tend to assume that after a string of losses, a win is much more likely and vice versa. Thus, after a losing streak they are likely to risk a lot because they believe a win is more likely. Or after a winning streak they are likely to bet less because they believe a loss will occur soon. However, in reality a win or loss depends upon the probabilities levels in your type of trading-not what has happened in the past. Professional gamblers know that you bet small during a string of losses and bet big during a winning streak. This is the reason most professional traders use some sort of money management in which they risk a percentage of equity. Your equity increases during a winning streak and decreases during a losing streak. Most good traders would agree that risking less than 1% of equity in a trade (where 1% is the amount you would lose if your stop loss was hit) is a prudent risk. This is smart stock investing advice. Risking between 1% and 3% gets into the gunslinging range. Risking any more than 3% is usually financial suicide and the average trader commits financial suicide all the time without knowing it. Most people don't understand risk at all-including a lot of professionals. Risk often is equated with the probability of losing. Thus, for some people, futures trading is considered to be risky. Others equate risk with the amount invested or with margin. Smart stock investing advice says that risk is the amount of money you are willing to lose if you are wrong about the market. When you define risk that way it changes a lot. An stock trader might say, "I risk 10% on each trade." For him, that might mean that if he has $100,000 he wouldn't invest more than 10% in each stock or $10,000. That's not the same thing. According to his definition, he could only buy 50 shares of a $200 stock. But let's say that he bought a stock at $200 and that he would admit to being wrong if his stock dropped to $198 and sell it-that's a $2 stop. If he is willing to risk 10% of equity it means that he could buy 5000 shares of the stock. Those 5000 shares would cost him a million dollars and no brokerage house would allow him to buy that much with a $100,000 account. Risk must be thought of as the percent of equity you are willing to lose on a trade if you are wrong. And when you do it that way, anything over 3% is extremely risky-especially if you have 10 to 15 positions on at one time. What's really interesting is that once you understand risk and portfolio management, you can design a trading system with almost any level of performance. For example, you can design a system to trade for clients that would make about 30% per year with only 10% drawdowns. On the other hand, if you want to trade your own account and be a little more risky, you can design a system that will produce a triple digit rate of return-as long as you have enough money to do so and are willing to tolerate tremendous drawdowns. What is a Coach for Traders Dr. Van Tharp? A coach is someone who takes raw talent and brings out top performance. People sometimes forget that trading is human performance--measurable human performance. Changes in equity reflect the performance of the trader much more than what happens in the market. A good trader can make money in the long run no matter what the market is doing. In contrast, a poor trader is unlikely to make money, regardless of what the market is doing. A coach is someone who attracts talented people and then teaches them the fundamentals of good performance. It's more than giving stock investing advice. At the Yankees spring training camp, Casey Stengle, who coached such baseball greats as Mickey Mantle and Roger Marris, used to hold up a baseball to his entire staff and begin the season with the statement, "This is a baseball." Even the best players need to be reminded of the fundamentals occasionally. Van Tharp, what is a low-risk idea? Yes, at another level, people get exactly what they want out of the markets. Most people are afraid of success or failure. As a result, they tend to resist change and continue to follow their natural biases and lose in the markets. When you get rid of the fear, you tend to get rid of the biases. Dr. Van Tharp, what role does discipline play? Discipline to me means being able to control one's mental state where mental state is like the emotional context that one brings to a task. Every task has some state of mind that's important for optimal performance. For example, in answering these questions I'd describe my state as being relaxed, confident and focused. I just let the answers flow. If I were in any other state, I think it would be a lot harder to come up with the answers. Well, the same thing holds for stock trading-there's some optimal state that is necessary for carrying out each of the tasks of trading. Overall, you need a background state of confidence-of knowing that you'll make money in the long run. If you don't have that context, then trading is quite difficult. And, each trading task requires a different sort of state. This is important stock investing advice. Essentially, mental strategies refer to another of the three ingredients of success. It refers to the sequencing of our thoughts-most of which is unconscious. For example, most people make decisions based upon specific details of their mental images. Traders usually have a mental image of a trade that works. If the image is in the correct location and has a sharp figure-to-ground distinction (i.e., the last bar stands out), then people get a strong feeling to act. Now, that's not the same for everyone, but it's the most common pattern. Everything else we do in terms of manipulating the environment or changing our own thinking is just to set up an image like that which causes us to act. I think the statistics indicate that 90 to 95% of all new businesses fail and the reason they fail is that they do not plan adequately. Most fail because they lack an adequate business plan. Well, trading is just like a business. Traders need more than just a system-they need a business plan. And that business plan should include several systems that generate low-risk trading ideas; a psychological management plan; a money management plan; and a worst case contingency plan. The psychological management plan has to do with managing oneself. Trading is human performance and the main determiner of the performance is the trader. For example, most people spend all their time analyzing the market and trying to predict what is going on-which has very little to do with successful trading. As a result, I recommend that people develop a full psychological management plan. This involves analyzing themselves regularly and spending time on anything that would improve their own performance. This would include such things as proper diet, regular exercise, regular relaxation or meditation, goals, planning, and avoiding anything that would get one's life out of balance, etc. This kind of mental rehearsal will go a long way toward improving performance. But perhaps the worst case contingency planning is even more important. It amounts to brainstorming about what could go wrong. That doesn't mean that I'm advocating that one expect disasters, just that one plan for them so that it's easy to weather the storm. Once you've brainstormed what could go wrong, then I recommend that your plan include three or four ways of dealing with each potential disaster. Dr. Van Tharp, do you advocate a mechanical approach to trading for most people? That's generally true. Most people have better things to do with their time than sit around watching a monitor all day, which is usually necessary if your trading is not mechanical. Also a lot of problems tend to develop in discretionary traders that system traders can easily avoid. Consequently, I advocate system trading for most people. What other stock investing advice is important to trading and investing? Belief systems. Beliefs are grounded in the universe. Everything I've said in this interview reflects my beliefs. Beliefs are filters. You see and experience what you expect because your beliefs are filters to reality that allow you to find information and evidence to confirm them. Beliefs are concepts that help you understand things in this universe. For example, people once believed that the earth was flat and that everything in the universe revolved around the earth. People's lives were shaped by that belief. We then believed in Newtonian physics where everything was mechanical and lawful and most of the universe was thought to be outside of us. And today we've moved into quantum physics in which everything is relative and the observer has an effect on the observation because he is part of it. The laws of physics (which are really just beliefs) shape our concepts, inventions, and progress. Probably at a level beyond all of that (of course, this is a belief) is that once you give up all of your beliefs, you have an experience of the universe as it really is-which tends to be a very profound spiritual experience of the kind that some of my clients have after an emotional clearing. Beliefs are one of the ingredients of success. They tend to form a hierarchy with spiritual beliefs and self-concept beliefs being the most significant. I've written extensively on this topic in my home study program. Most significantly, I have developed my advanced course, Peak Performance 202, to maximize a person's understanding of belief systems and how they affect not only our trading and performance, but our daily lives. It's powerful material. Return from "Van Tharp Stock Investing Advice Interview " to the Home Page: "Stock Market For Beginners"